Every workplace has a few rude and narcissistic people who always try to be in the good books of the boss. Not just this, dragging others down is also their favorite move. You can’t avoid them (even leaving the job wouldn’t work, as every workplace has such awkward characters), you can’t change them either. At the same time, you can’t let them hijack your emotions. There is one thing that you can do, CHANGE YOURSELF. 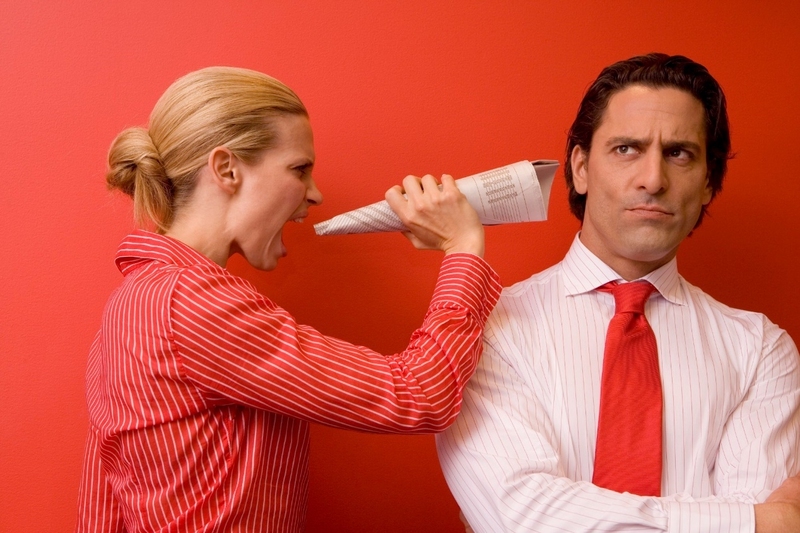 Find the best ways to deal with annoying coworkers. Their behavior annoys you? Don’t let that excuse stop you from your work. The best you can do is to put a positive spin on the circumstances by having a cool and calmed down behavior. If you can’t keep yourself calm, get help from some instant deep-breathing exercises. The best you can do is not to react and stay calm. When you would not respond, things will stay under control. And I am sure, watching you unaffected by their moves, they will feel helplessly annoyed. If your ‘know-it-all’ kind of colleague is crossing his/her limits and you feel like having no control over your emotions, you better get direct with them and discuss what is it that’s bothering you. Instead of a heated argument in front of the whole office, you better take them to some quiet corner or office cafeteria to inquire or discuss directly about the matter. When you are working as an employee, your focus should be on your work and the betterment of the firm and not what everyone else is doing. Divert your focus from your co-workers’ activities to your own performance, and you will notice less and less of his/her annoyance. If shifting of focus doesn’t work for you, think of shifting the department. As it’s not just about how to deal with annoying coworkers, it’s also about your performance. If your problems persist, it may affect the quality of work. Normally, offices come with different sections and departments. If you too work at a place like that, you better request your boss to shift you to some other section. Presenting yourself as a kind and loving person can help a lot. Opt for some kind gestures like sharing food with your colleagues or picking up home-baked muffins (or anything else) for everyone once or twice in a month. This is a good way to develop healthy terms with them. When you find yourself in a helpless condition, it’s good to share your views with some close pal (not from the office). Sometimes getting suggestions from an outsider may prove helpful in strengthening you. Never try to gossip about that annoying colleague with another coworker. It may harm your reputation in the long run. And there would be many who would consider you as a negative person. Are you finding someone irking and intolerable? That doesn’t mean you are perfect. Cool down and look at yourself. You too own a number of imperfections. Try to add some positive elements in your personality including patience, humility and professionalism. It would not only guide you about how to deal with annoying coworkers but it would help in creating a better working environment. There can be a lot of points where you disagree with the most annoying person (for you) in the office. But that does not mean that you can’t have something in common with him. Try to find your common interests. Luckily, if you find some, discussing them over can make things better between you two (even if things don’t work out, you should be proud that you tried). Many times the people that annoy you are the gossipmongers around you. Every office has a couple of gossip-based groups. If you are into that group, you barely can work. And if you are not a part of their circle, you are quite likely to be their topic of discussion. For facing such situation, the only option is to IGNORE them. It’s one of the most reasonable ways to deal with obnoxious colleagues. Try to have a forgiving and positive approach towards the whole matter. It is quite possible that the person you find annoying, is not doing it all on purpose. Maybe he has no idea how things are troubling you. Just ignore him and stay focused on your work. Bear in mind, you are here for a purpose. Don’t let any negativity take away that goal from you. Many times, colleagues tend to talk loudly during the working hours. If you don’t want to say it directly, you can discuss the matter in daily staff meeting. There you can point out this issue as a whole, without pinpointing that specific coworker. This should be the last option, when all other tries don’t bring the desired results, you’d better talk to the manager or someone on an authoritative position in the office. When you talk to your boss about the matter, you must have some solid arguments about how to deal with annoying coworkers is hindering your productivity. If you get successful in convincing them, that’ll be great! But even if talking to them doesn’t change anything, maybe it’s time to start looking for another job. Server responsed at: 04/24/2019 10:19 p.m.